Do you lie awake at night worrying about going head to head with Amazon in a modern day David vs. Goliath showdown? Especially when you consider that almost half of all online spending in the United States occurs on Amazon, a survey by BigCommerce reports. A whopping 83% of US consumers have bought something on Amazon in the last six months. How can a small, brick-and-mortar retailer hope to compete? First, a reality check: some 87% of retail sales still occur in brick-and-mortar stores, according to Deloitte. Amazon itself clearly recognizes the value of brick-and-mortar stores, which have been shown to increase traffic to a retailer’s website. Its purchase of Whole Foods grocery stores, its Amazon Go convenience stores, and its announcement of plans to open a new grocery store brand all attest to Amazon’s respect for physical stores. Although Amazon may account for nearly half of all online spending, that only adds up to about 5% of U.S. retail sales—which still leaves plenty of opportunity for you. 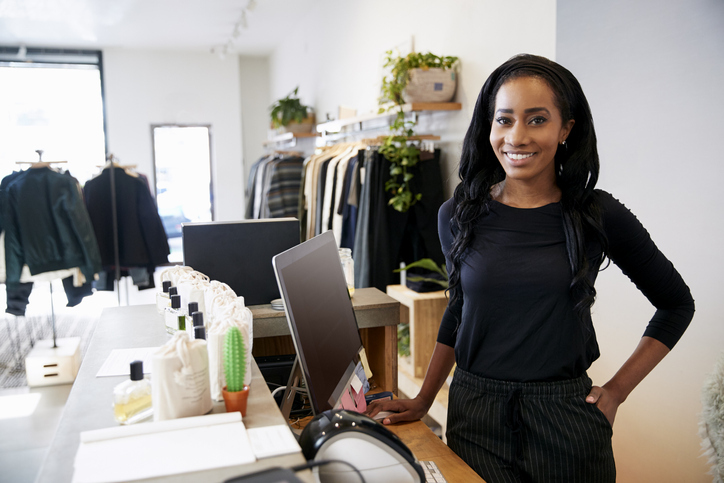 Here’s what your brick-and-mortar store can do to compete with Amazon and not only survive, but also thrive in the coming years. Why do consumers love Amazon? Convenience is key. Amazon offers a frictionless shopping experience that’s convenient, fast and personalized. Here’s how you can do the same. Accept a wide range of payment options. Shoppers want to pay in the way that’s most convenient for them. During the 2018 holiday season, almost one-fourth (24%) of consumers planned to use mobile payment in-store. Millennials, in particular, want to pay with their phones to speed up the checkout process. Speed things up even more by using tablets and smartphones to accept payments throughout the store, so shoppers don’t need to wait at the checkout counter. Get personal. Almost two-thirds of consumers in a recent survey want personalized recommendations from retailers, and 79% say personalized service from retail employees is a key factor in where they shop. Use retail loyalty software to track what customers purchase and which marketing offers they respond to. Then reach out to them with tailored offers or specific products you know they’ll like. Nearly half of retailers that gather customer data fail to communicate it to salespeople, BRP reports. Share what you learn with employees so they can provide personal recommendations, too. Instead of fearing Amazon as an enemy, enlist them as a partner. Half of all products purchased on Amazon last year were sold by third-party companies, according to Amazon’s 2018 Small Business Impact Report. Setting up a store on Amazon’s marketplace can not only boost your sales, but also generate traffic to your website. Selling on Amazon can even drive customers to your physical store. Almost one-third of shoppers in BigCommerce’s survey have bought a product at a brick-and-mortar location after discovering it on Amazon. Shoppers still like to see, touch and test merchandise in person before they buy, so use your Amazon store as a digital showroom to get customers in your door. Last, but not least, focus on areas where Amazon falls short. Curation: Many shoppers find the sheer volume of products on Amazon overwhelming. Sorting through 10,000 different results for “women’s black T-shirts” is the opposite of convenient. Brick-and-mortar shops can compete by curating a manageable selection of products that saves shoppers time and headaches. Uniqueness: While Amazon may be a great place to find low prices, it rarely delivers those delightful moments of discovery that shoppers love. Offering unique products can give you an edge over Amazon’s mass-produced wares. Nearly four in 10 Amazon shoppers say they would go elsewhere to shop if a retailer offered unique items they couldn’t find anywhere else. Make your business the store of the future, so you don't just compete against Amazon, but thrive.